I spoke in an earlier post about why I did not expect the Ospreys to return much earlier than usual, in spite of the warm, snowless late winter / spring...and they are showing up right on schedule. Our first Ospreys were seen back on the nest today, march 29 and the last two years they were first seen on March 31. This is why we are working so hard here to keep accurate records, to show what we learn from doing this research in a consistent manner for so many years. Sometimes it is by looking back on well kept records that we learn. And I try very hard to educate all my readers with what I learn from these efforts! Please ask questions if you have them! That's why I do this! And here is a link to a new osprey cam in the San Francisco Bay Area that one of my Ospreys friends just sent! I just received a report of an osprey flying near one of our nests! Not on the nest so it was not identified, but it means our friends are returning to the area! This is a heads up to the volunteers...let the nest checks begin in earnest! I have notified the volunteer on that nest and I will check a few nests today. It's officially Osprey season! First Ospreys are back on the nest in Montana....so start your cars! This is the week! We will see some of our friends here in Minnesota very soon! I went for a little ride today. I had been losing sleep over a nest where I saw some plastic landscape netting last fall, after chicks had fledged. Was worried about what might happen this year and was lying awake trying to figure out where I could get a climber to get that crap out of the nest. So happy to find that the stuff I saw in the nest last fall is now below the nest tangled around the support arms of the platform, and not where chicks could get caught up in it. Whew. It's nightmare material for me. Checked a few other nests where we typically see some of our earliest returns, but saw no Ospreys, no fresh whitewash or freshly broken sticks. Some nests have been removed from cell towers. Sigh. I rewarded myself with a chocolate croissant and a latte. As the project grows, the demands on me continue to expand (lead scientist, secretary, volunteer coordinator, webmaster, fundraiser, public relations director) and preparing for the new season takes a lot of time, finding and organizing volunteers , meeting and training the new ones, always needing more help...in so many ways. Wishing we had the support we need to grow this research study into something really exciting...so many possibilities for Investigation. Meanwhile we do the very best we can to keep accurate track of all known nests, maintaining a complete productivity study, putting up new nests when we find some boys scouts to help, finding new nests on man made structures. Thanks to the experienced volunteers who are already visiting nests to look for Ospreys and assess the condition of the nests and supporting structures. The Ospreys will be returning to their nests in the twin cities area within the next few days or weeks. (Ospreys are already back on the east coast and in Missouri.) Twin Cities Metro Osprey Watch needs your help. This is our annual plea to please report new nests or osprey activity in the eight county metro area to us. We are trying to monitor all know nests in Hennepin, Ramsey, Carver, Washington, Anoka, Wright, Dakota and Scott counties as part of a long term study on these raptors. We are also seeking volunteers to help monitor these nests. (122 known occupied nests last year, which included 13 new nests.) We are assembling our field teams now so If you are interested in helping us by checking a nest once a week through the breeding season, please contact Vanessa Greene at osprey.mn@gmail.com. Please feel free to share this post with anyone who might be interested in joining this research effort. Thanks! Are the Ospreys on their way home? Our weather here has us thinking about an early spring and I am already getting reports of Ospreys back on the nest but I question these sightings. Our Ospreys from Minnesota usually spend their winters in South and Central America. They are unaware of what the weather is like here in the upper Midwest. What is it that triggers their northerly spring migration? It is not necessarily weather related. The urge to migrate is triggered by a hormonal response to the length of the day. We do not currently have any Ospreys here with satellite transmitters on them to monitor their movements, but Ospreys in other parts of the world that are being followed do show movement. Some Ospreys have shown up on nests in the southeastern U.S. But this is just the beginning of the northerly movements of the earliest migrants. I do believe that weather has some effect upon their migration since they rely upon strong northerly winds to carry them back to their breeding territories. When they begin to get closer to home, if they encounter frozen lakes, a snowy landscape or strong southerly winds they will begin to slow down. Food (fish) may be difficult to find. Northerly movements may slow down or even halt. I have been documenting return dates here for 23 years and while there is some variation in return dates, it does not vary wildly. We will probably not see Ospreys returning to their nests a month early. We have seen return dates altered by a week or so if they are lucky enough to find open fishable waters and good northerly wind currents. The older more experienced breeding pairs are usually the first to return since they know that the sooner they lay eggs, the greater the chance of survival for their offspring. (Those older chicks begin their fall migration better prepared than late hatching juveniles.) Younger unmated Ospreys will continue to trickle in until late April, looking for mates and territories while the early returning birds will already be incubating. Having said all that, we are preparing for the return of our winged friends. I know many nest monitors have been in touch with me and I hope all that have monitored in the past will contact me and re-up for another year of observing these magnificent raptors. We ALWAYS need more help, with over 120 nests to watch over, so if anyone is interested in watching over a nest or two thru the breeding season, please email me at osprey.mn@gmail.com so we can talk about our monitoring protocols and find an appropriate nest for you to adopt. We ask that you commit to checking the nests once a week, and if you are unable to for some reason (vacation, sickness, life) just let me know so we can fill in. It is necessary to have some birding equipment....a spotting scope or good binoculars. I am getting myself prepared....got a new tripod (thanks Anamaria Betterman! ), a new field notebook, last years data bound and ready for reference, new charts on my iPad ready to fill in for the 2017 season. 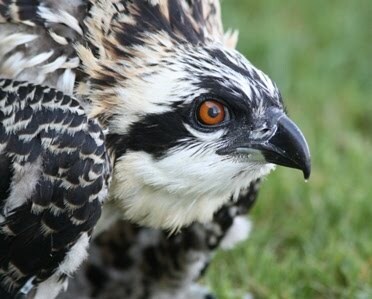 Hope some more of you will join us in the great Osprey adventure this year!